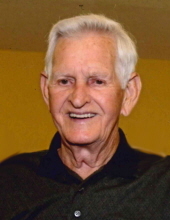 Mr. Earl Ball, age 89 of Wilkesboro, passed away Sunday, March 24, 2019 at Wake Forest Baptist-Wilkes Medical Center. Funeral services will be held 3:00 PM Thursday, March 28, 2019 at Oakwoods Baptist Church with Pastor Scott Townsell officiating. A private family burial will be held. The family will receive friends from 2:00 until 3:00 prior to the service at the church. Mr. Ball was born February 19, 1930 in Wilkes County to Ivory Ball and Laura Marlowe Ball. He was self-employed and a member of Oakwoods Baptist Church. In addition to his parents, he was preceded in death by his wife; Ruby Edwards Ball, four sisters; Annie Ball Childress, Gracie Ball Smithey, Minnie Ball Millsaps and Viola Ball Weaver and three brothers; Merlin Ball, Mansfield Ball and Ancil Ball. He is survived by a sister; Dotty Ball Stafford and husband R.C. of Kannapolis and numerous nieces and nephews. To send flowers or a remembrance gift to the family of Earl Ball, please visit our Tribute Store. "Email Address" would like to share the life celebration of Earl Ball. Click on the "link" to go to share a favorite memory or leave a condolence message for the family.